When I was a teenager the magazines I read were full of articles declaring that to look like a supermodel I needed to cut out the carbs. 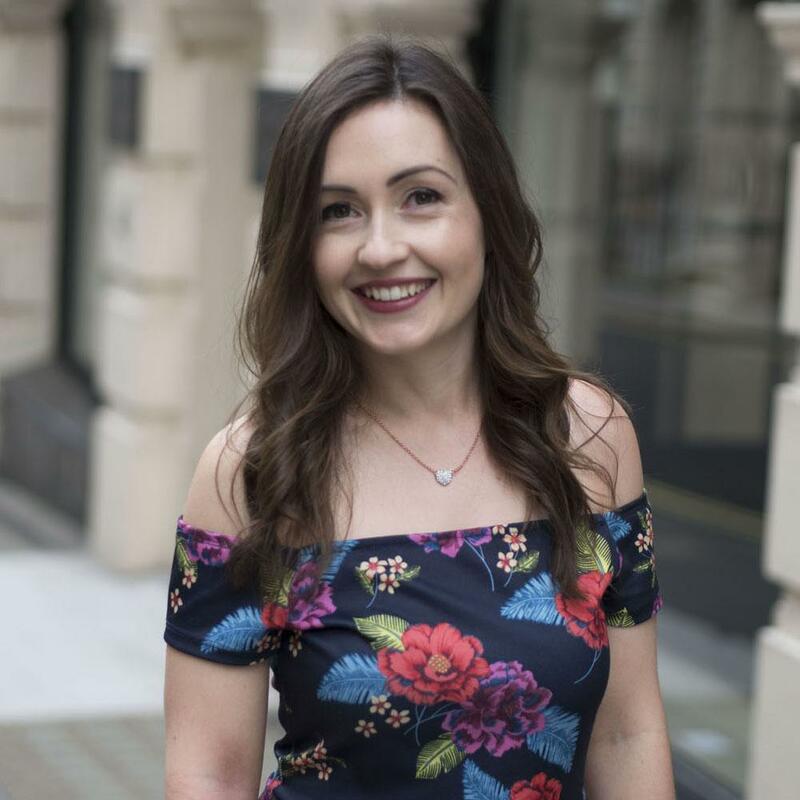 It took me a long time to work out that eating pasta and potatoes as part of a balanced diet is absolutely fine… the trick is simply knowing when to stop! 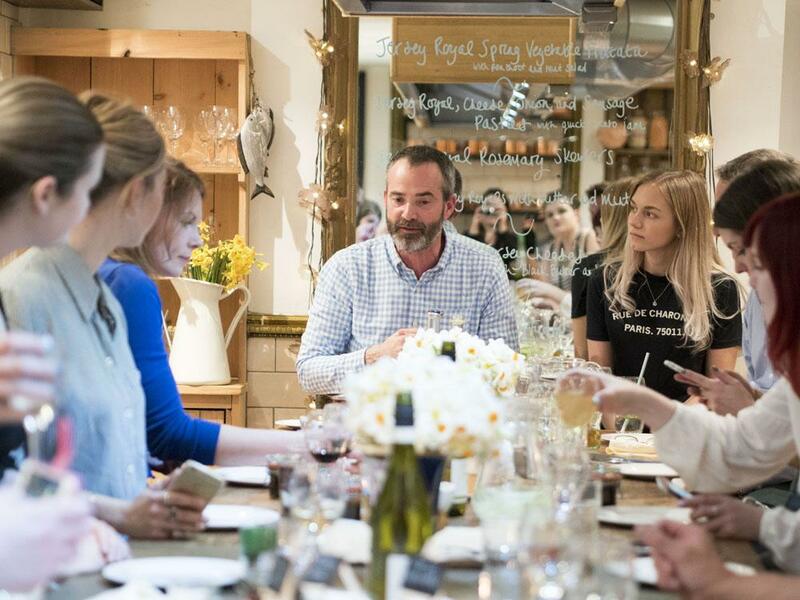 Thus when an opportunity arose to attend an intimate dinner party showcasing some of the great things you can do with Jersey Royal New Potatoes I jumped at the chance. 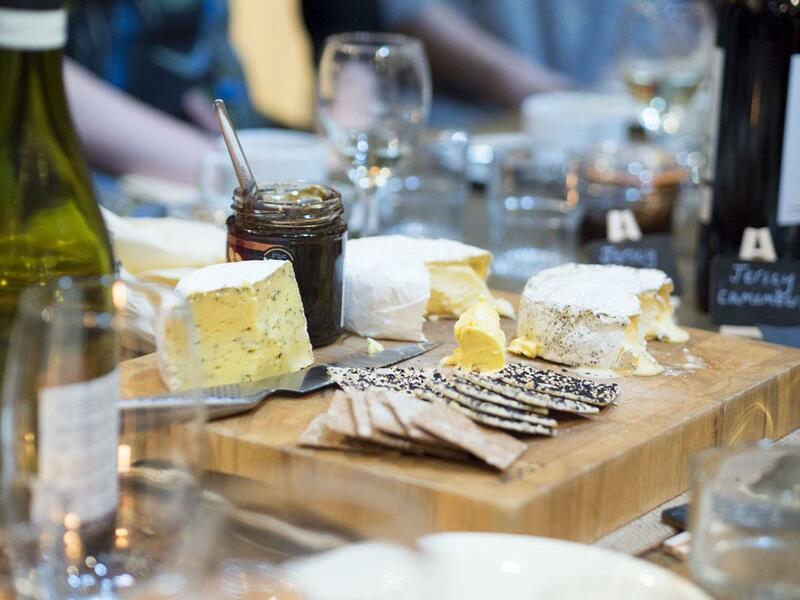 …did I mention that it was hosted by none other than Jimmy Doherty of Jimmy’s Farm? 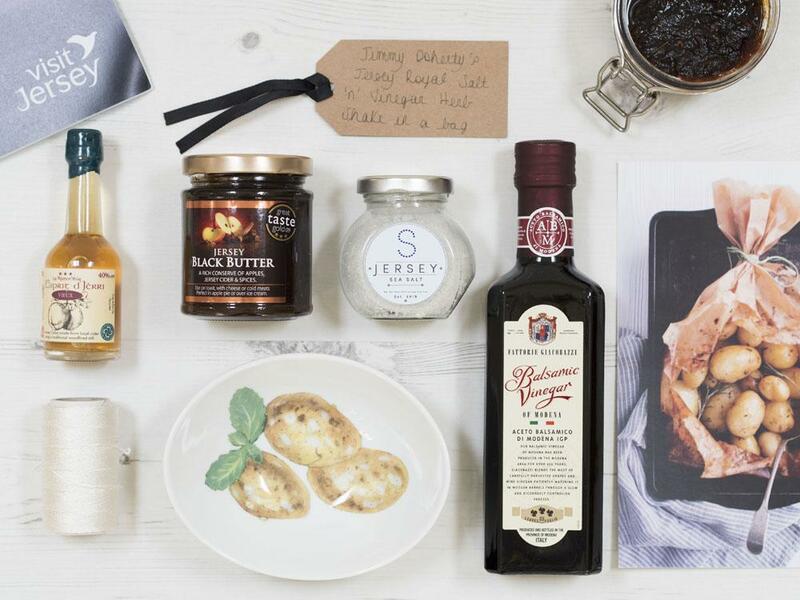 Yep, Jimmy and Jersey Royal collaborating to host a dinner party: foodie heaven! I arrived at the Food At 52 culinary school and was greeted by none other than Jimmy himself. 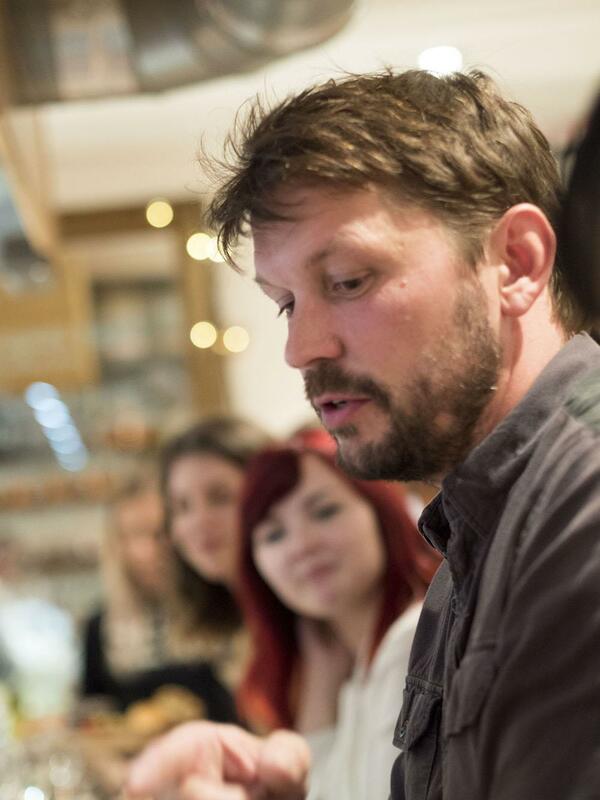 Soon I was having a drink with a group of fellow foodies as we listened to Jimmy talk passionately about why he supports the use of homegrown produce. 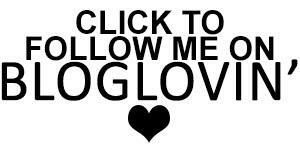 It’s quite simple really. 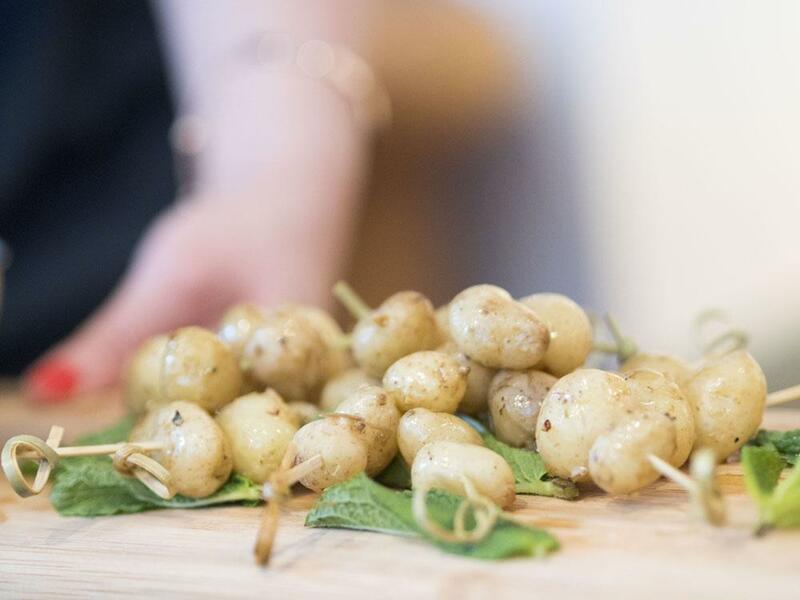 Why buy potatoes grown halfway around the world when we have local farmers producing the freshest, most delicious potatoes right on our doorstep in the British Isles? 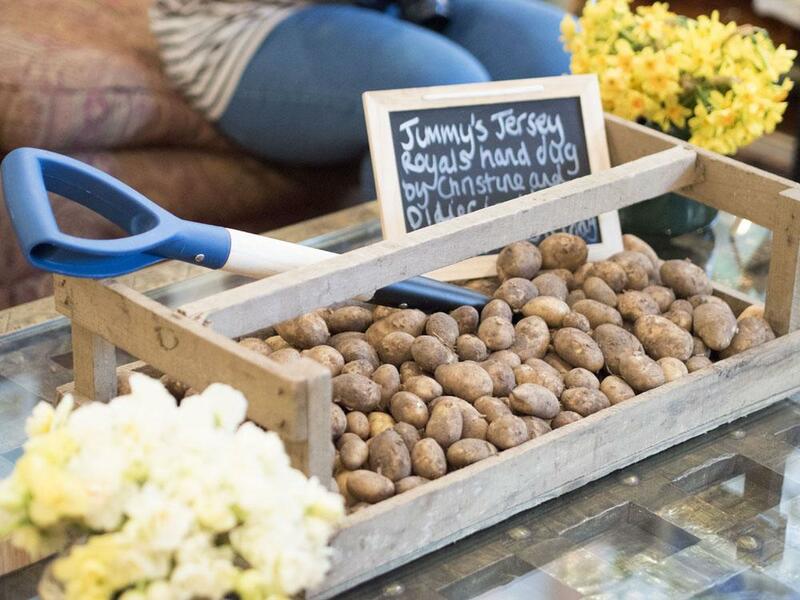 Jersey Royals are in fact often referred to as the champagne of the potato world. To begin our Jersey odyssey we were served canapes of the most adorably delicate little new potatoes. 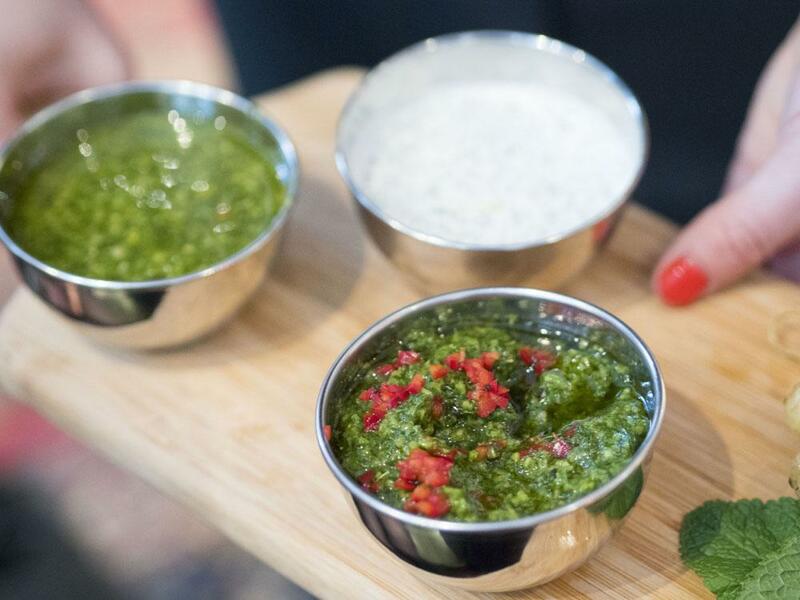 Add basil pesto, chimichurri and chive crème fraiche dips to the mix and they proved to be extremely moorish. Heading downstairs we found a long table beautifully laid out for us with fresh flowers and sparkling dinnerware. 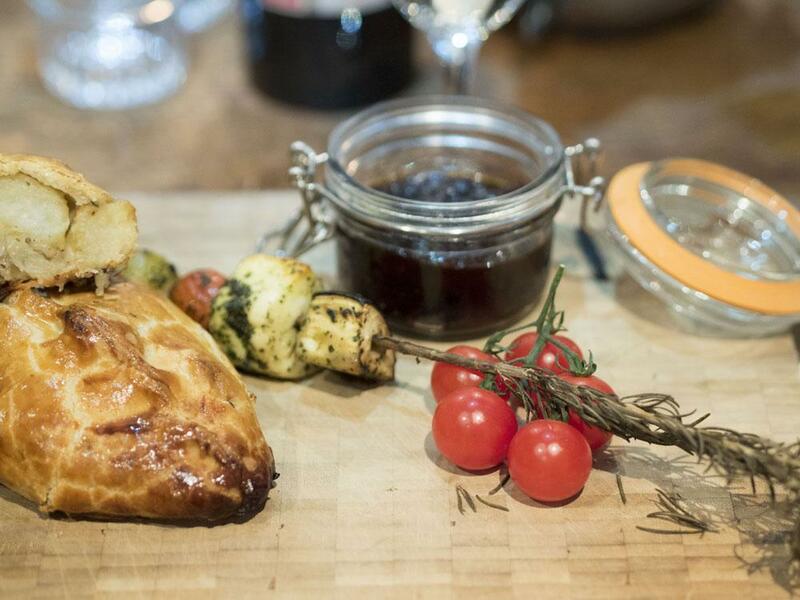 Enticing cooking smells wafted through from the open kitchen. As we talked the night away plate after plate of beautiful food arrived. 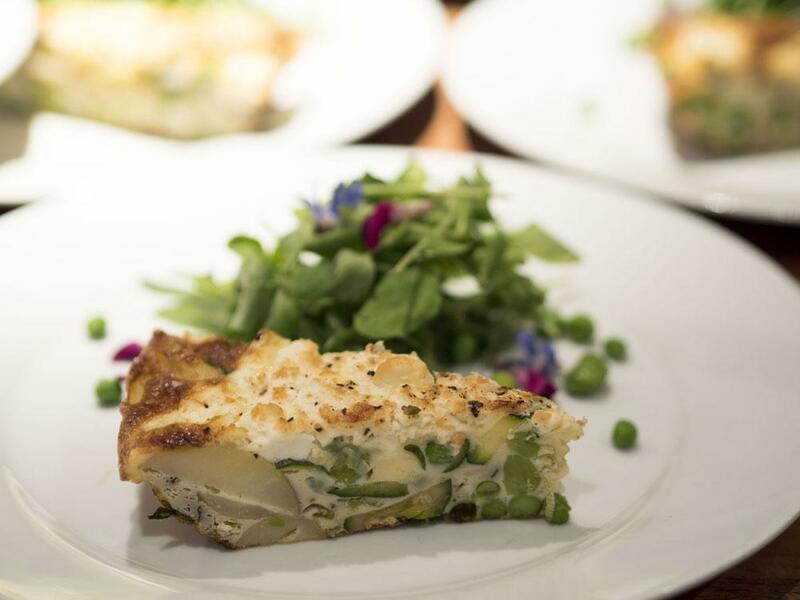 Our starter was a stunning Jersey Royal Spring Vegetable Frittata which was so fresh and light and delicately balanced that I’m pretty sure I made moaning noises in appreciation as I tucked in. Next came a sausage pastie but *in my best Marks and Spencers voice* not just any pastie, a Jersey Royal cheese, onion and sausage pastie! 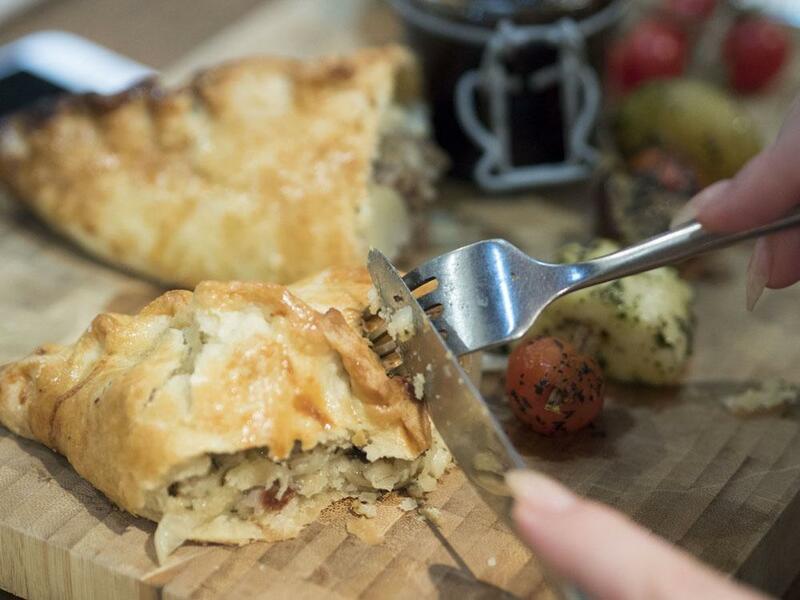 It was meaty, it was hearty, the pastry was short and just the right amount of crumbly. It was accompanied by a quick tomato jam and halloumi and rosemary skewers which I’m going to have to recreate at home. 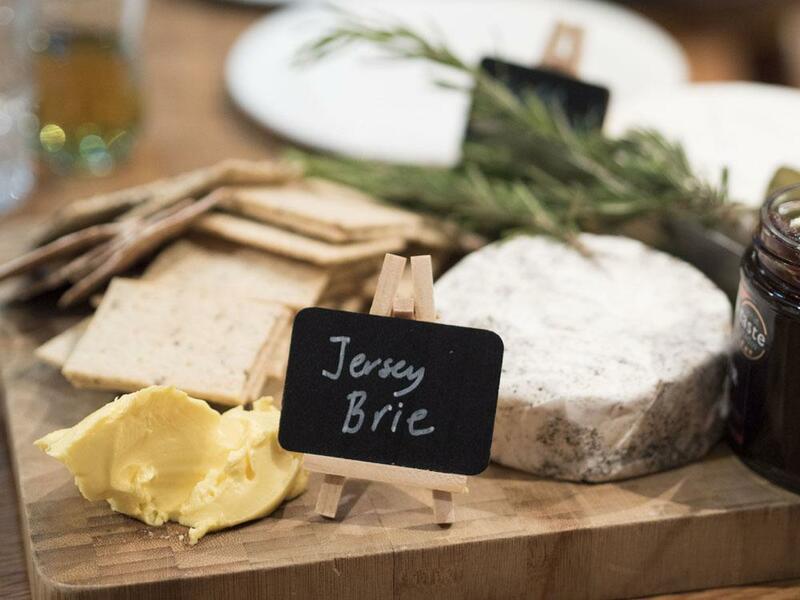 Our final course of the evening was a cheeseboard full of Jersey produce including Brie, Camembert and one of their most genius creations: Jersey Black Butter. 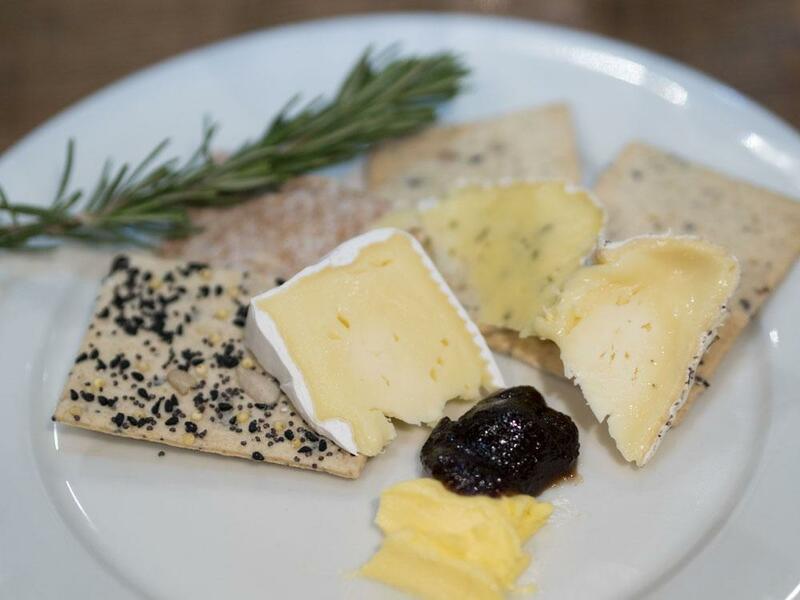 Any description I try and give here just doesn’t do it justice, so I’ll simply tell you that it’s a bit like a chutney with a decadent spiced apple sweetness to it. Think of Christmas preserved in a jar. Oh and you can get it in the supermarket now – do it! 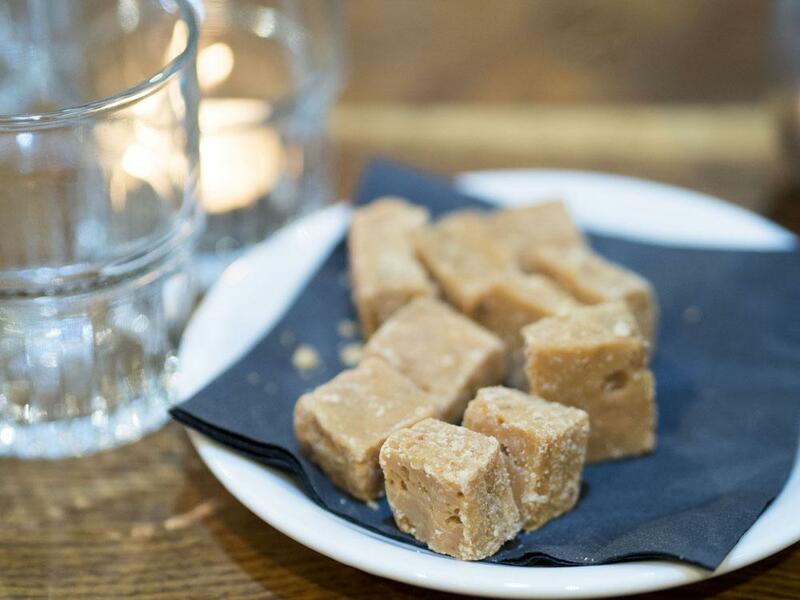 If all of that wasn’t enough, before we left we were offered some of Sue’s salted fudge, which turned out to be very similar to my most favourite of sweet treats, Scottish Tablet. It’s an insanely pure sugar hit that may be too sweet for some, but I just loved it. 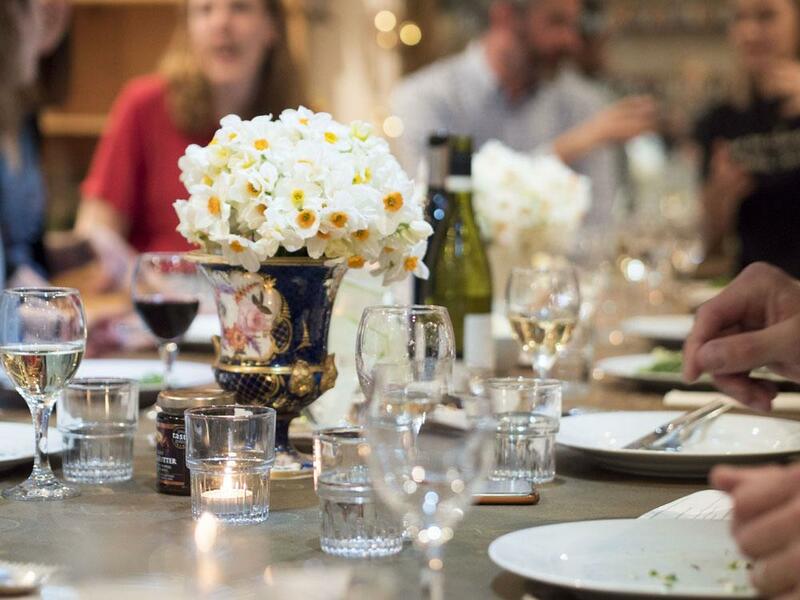 It’s experiences like this dinner party that make me very thankful to have started writing my blog. Not only did I get to eat some sensational food but I also learned about Jersey’s history and got to meet some of it’s proud inhabitants. We even got treated to a goodie bag full of the wonderful produce that we’d tried that evening so that we could carry on the enjoyment at home. I’ve been hankering after a trip to France for a while now but having seen what the beautiful island of Jersey has to offer, I think I might have found a new place to dream about. This post is not sponsored but I did enjoy the wonderful hospitality of the Jersey Royal team. 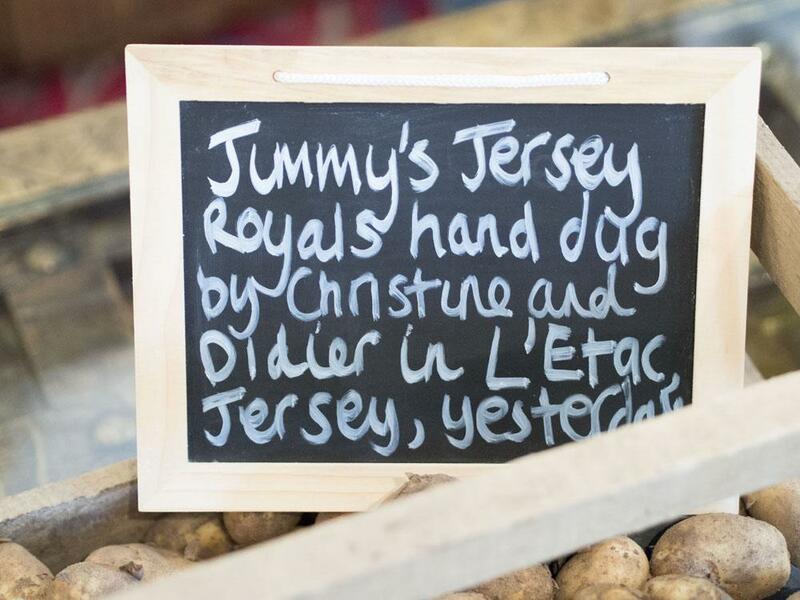 You can find out more about Jersey Royal New Potatoes here .